Hate cleaning? 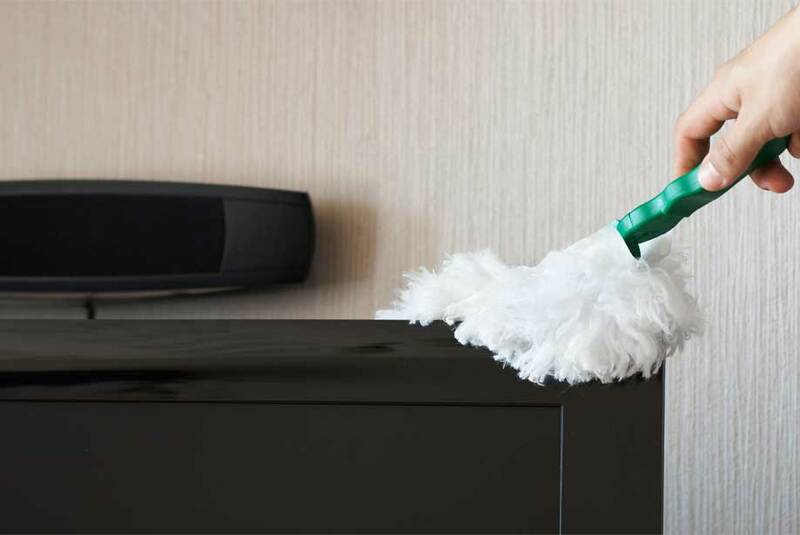 A recent report now suggests house dust can carry environmental contaminants that can also cause weight gain. House dust can be inhaled, ingested, and absorbed through the skin. Exposure to endocrine-disrupting chemicals (EDCs) and pesticides can interfere or mimic hormones that can lead to numerous health risks including weight gain, learning disabilities, and impaired reproductive and neurological functions. Scientists collected and tested dust from 11 homes in North Carolina. Ten samples triggered 3T3-LI mouse model fat cells to divide and accumulate more triglycerides. Pyraclostrobin, a pesticide, caused the most fat-producing effects. The flame retardant TBPDP and the commonly used DBP plasticizer also had a similar impact. Amounts of dusts as low as 3 mg have been shown to cause measurable effects. This raises concerns for health impact, particularly in children who can consume up to 50 mg of house dust each day. The production of fat cells cannot be reversed and as a result, even if someone loses weight, their fat cells remain. Poor diet and a lack of exercise are major well-known contributors to weight gain. We have previously reported on the effects of Irisin and Rap1 on weight gain. This report highlights lesser-known potential hidden dangers around the home that can impact health, especially in children. Enzo Life Sciences is your resource for a wide variety of products for your Metabolism and obesity research needs. We offer a comprehensive portfolio of products including antibodies, proteins, detection kits, libraries and much more. Our adiponectin (human) and (mouse) (rec) high purity proteins are expressed in mammalian cell lines to guarantee proper post-translational modifications. Novel and orally active adiponectin receptor agonist for AdipoR1 and AdipoR2.